This book has major hype throughout the Young Adult world and I have heard nothing but good things about it. 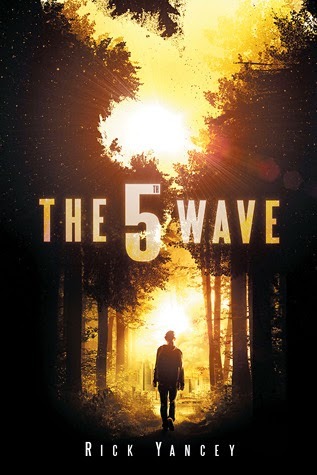 Apparently they are making the book into a movie too? Starring Chloe Grace Mortez, which is SUPER exciting! I was super pumped to start reading this book and I had very high expectations. This book is set out in parts, so the parts are using the different characters perspectives, each person's perspective is seperated with two black starry pages with a title. This gives us the chance to feel what are other people are feeling, and not just be stuck with the same person thoughts throughout the book. I love the way Rick Yancey has set this book out, it's easy to understand and it also keeps everything interesting and fun! I love all the main characters! Cassie is so awesome and badass, she always speaks with a bit of sarcasm which I find so funny and amusing. Evan Walker is the coolest ever... He's so adorable and romantic and ahhhh, he also very mysterious which I find so interesting and it keeps me reading to find out more. Then theres Ben Parish, Cassie's highschool crush. Ben's perspective is shown a little later in the books and he is so kind and caring! He helps look after Sammy (Cassies little brother) and he is so protective over Sammy and he is just makes the book a whole lot better! Ok I think I am talking to much now... I just love this book so much. The story is so unique and so AWESOME! I read this book in 2 days, that's how amazing it was. I definitaly recommend this book to EVERYONE! Its super amazing and you will not regret reading it.